Thank you for your interest in joining JCNA ! If there are no clubs near in your state or province, you have the option to join as an At-Large Member and still be part of JCNA, which allows you to enter JCNA competitions ( Concours, Rally and Slalom ), attend events, and be eligible for North American Awards. 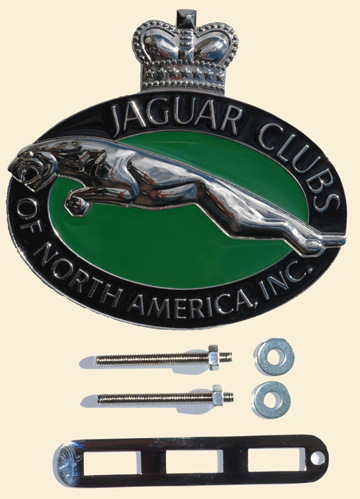 Your At-Large Membership includes a subscription to the Jaguar Journal, the leading North American Jaguar magazine bringing to you the latest news and features on Jaguars and activities in North America. To join JCNA as an At-Large Member, simply click on the link below and fill out the on line membership application. The rates are $137 inside USA and $159 outside USA and include a car badge and a subscription to the Jaguar Journal; For memberships without a badge, rates are $100 and $122 respectively. The differences are for postage variations. All memberships also include access to the JCNA Shoppe at Member prices on Publications and Regalia. Please fill out the membership form below, then follow the payment instructions below. By Paypal/Credit Card: On the page after filling out the form below, you will have a selection of memberships. Selecting "Buy Now" in any one of those sections will take you to the Paypal secure site where you can process your payment. Paypal is a widely-used, convenient and secure electronic payment system that allows you to charge your credit card or checking account. By using Paypal, your membership will quickly be activated within two-three days, thus avoiding delays in receiving andprocessing payments by cheque. Your membership will be processed within a few weeks. The Jaguar Journal is published every other month so please allow 6 to 8 weeks to receive your first issue. Should you have questions about the status of your membership, please contact the Assistant Administrator for Membership Services at asst jcna.com. Please indicate the nearest club of interest you wish to be associated with. Please include year, model, and color.